Typically, the cost to do a conversion is substantially less than new-build construction. However, the market still views conversions as new properties, making it possible to capture more market share and significantly improve the asset value without the risk and investment of building a new hotel from the ground up. Let your market needs determine what brand opportunities are available. The importance of converting to the right brand cannot be overstated. Evaluate and understand what available brands best fit your physical asset, deal points and investment strategy. Based on those criteria, you can determine which brand can create the best return on investment. Once you have chosen the right brand for the right location, work to implement brand- and market-specific strategies to maximize the asset’s potential. The right brand is only half the battle. To minimize risk, you need to select a management partner experienced in conversions to execute your strategy. Hotels in receivership can be purchased at reasonable prices and are not tied to a franchise agreement—the number of newer hotels that could not pay their mortgages is at an all time high during the past three years. If you can buy low, renovate and convert, it is possible to re-open as a “new” hotel in a matter of months with the right plan and partner in place. Executing a successful conversion strategy is not without risk. It is critical to seek professional assistance to assess the major mechanical systems— heating, ventilation and air conditioning systems, plumbing, electric, elevators, laundry equipment, kitchen equipment, etc.—to avoid any major surprises that could affect your financial success. Also, unless you are updating your major mechanical systems, older hotels have less efficient systems and require more frequent maintenance, so budget accordingly. 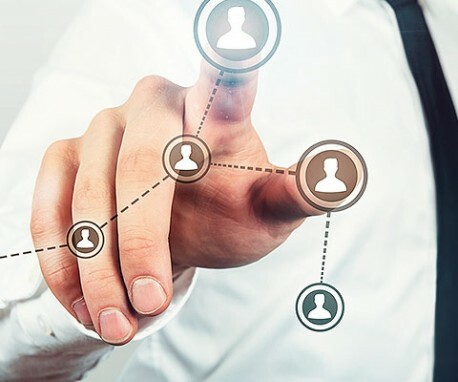 The best hotel management companies are adept at identifying the right opportunities, matching ownership financial objectives with the right brands and implanting the necessary support systems—from marketing, to staff management and smart revenue controls—all needed to make a new conversion deliver maximum return on investment. Typically, when making a brand conversion transition, owners are starting from scratch, with a new product, new price points and developing an entirely new clientele. Making that pivot requires proven management experience and demonstrated expertise. The market loves something new. Renovated and converted properties typically experience a surge of interest and a certain cachet. At a time when quality opportunities for new builds are somewhat scarce, the comparatively costeffective and transformative impact of a quality conversion is an appealing alternative—particularly for owners and operators whose properties are underperforming. Capitalizing on that newness factor to create brand ambassadors for the long term is essential. The importance of a strong social media and Internet campaign during your brand transition will vastly improve market awareness and help expedite a ramp-up of hotel revenues. A propertymanagement team that is ingrained in the community and is social media savvy will be critical for immediate market exposure. tion, with no Hilton in downtown Raleigh, there was a need in the market. The conversion neatly filled that vacuum in the market. The results exceeded even the most optimistic expectations. The new DoubleTree by Hilton increased revenue per available room over the market/competitive set by 39.3% (with 25% of this increase because of rate increase alone). The hotel achieved a 22.7% post conversion increase in average daily rate. Additionally, it saw a more than 50% increase in profit post conversion and customer-service scores that far exceed DoubleTree by Hilton benchmarks, as well as an $8-million increase in asset value. all about adding value and making money. Increasingly, it seems like the means to that end is a strategic rebranding and a hotel conversion with an experienced, results-oriented partner.